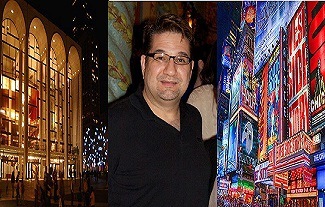 Performer's Music Institute-MIAMI - VOICE & Piano Instruction's Voice Instructor/Director OSCAR DIAZ, JR. will be available to teach in NEW YORK CITY (and its vicinities)on Jan. 18th (Fri.), Jan. 19th (Sat.) & Jan. 20th (Sun. ), 2019 SEE IMPORTANT NOTE* BELOW! *NOTE: The student must also provide the venue (with a piano/keyboard available) at which the lesson will take place. Also, IF the student wishes to work on a particular piece/repertoire: Please e-mail the TITLE of the work (the key, etc.) at least one week in advance to Mr. Diaz, Jr.